Indian Wells, CA (August 31, 2018) - Speakers were announced Friday for the Independent Professional Seed Association (IPSA) Annual Conference to be held January 7-10, 2019 at the Renaissance Indian Wells Resort & Spa in Indian Wells, CA. 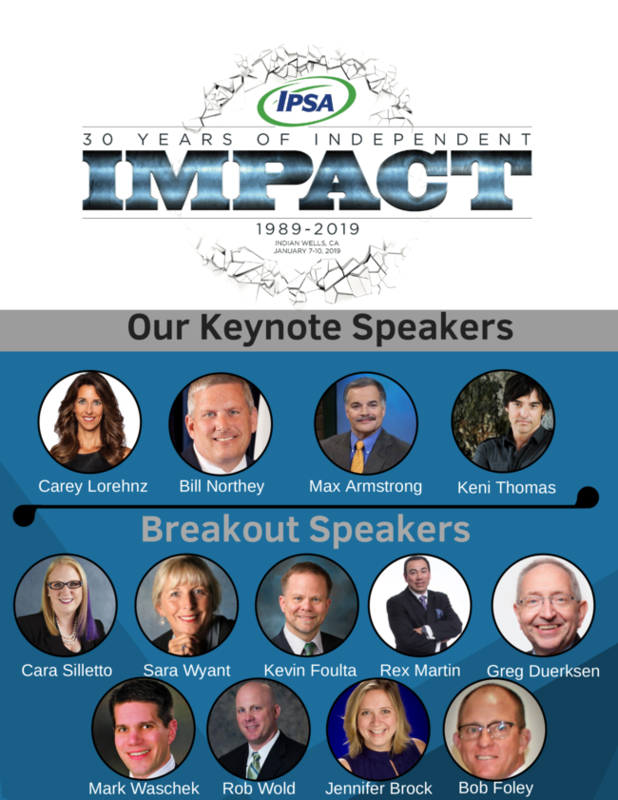 During the conference, IPSA will be celebrating 30 years of "independent impact." Keynote speakers include Carey Lohrenz, Bill Northey, Max Armstrong, and Keni Thomas. Breakout speakers include Cara Silletto, Sara Wyant, Kevin Foulta, Rex Martin, Greg Duerksen, Mark Waschek, Rob Wold, Jennifer Brock, and Bob Foley. More details, including registration and hotel block reservations, will be announced in September.